Styled with dennis floppy hat , altered straight no li and mainland t-shirt . 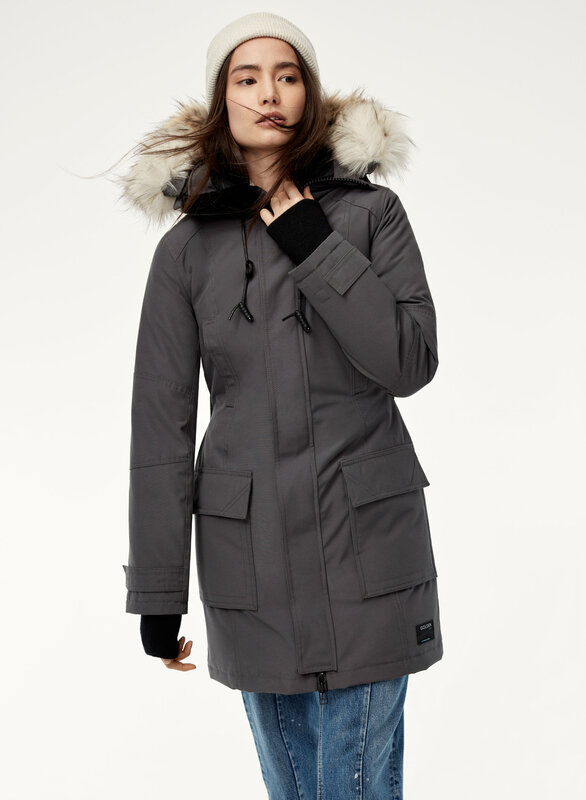 This version of the Bancroft is made with a water- and windproof fabric, and has breathable lamination on the backside to keep you comfortable and dry. 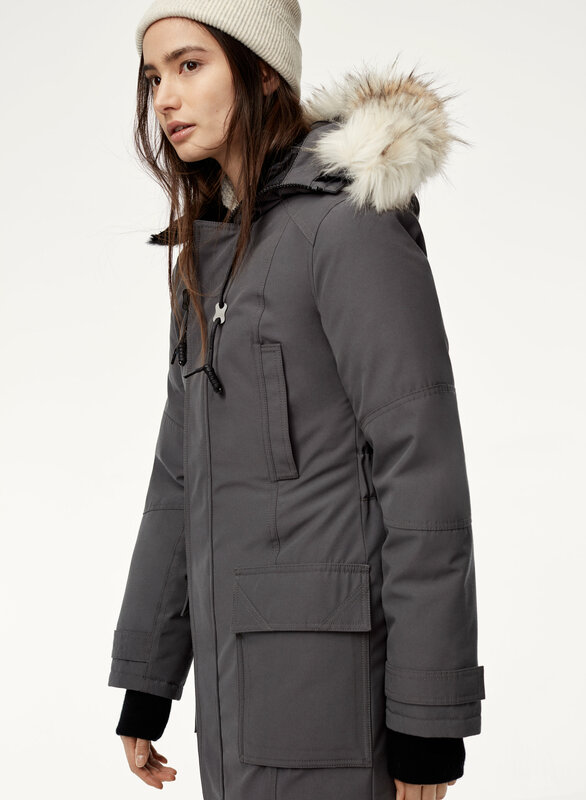 It's filled with responsibly sourced goose down, finished with merino-wool blend cuffs and boasts smart technical features. 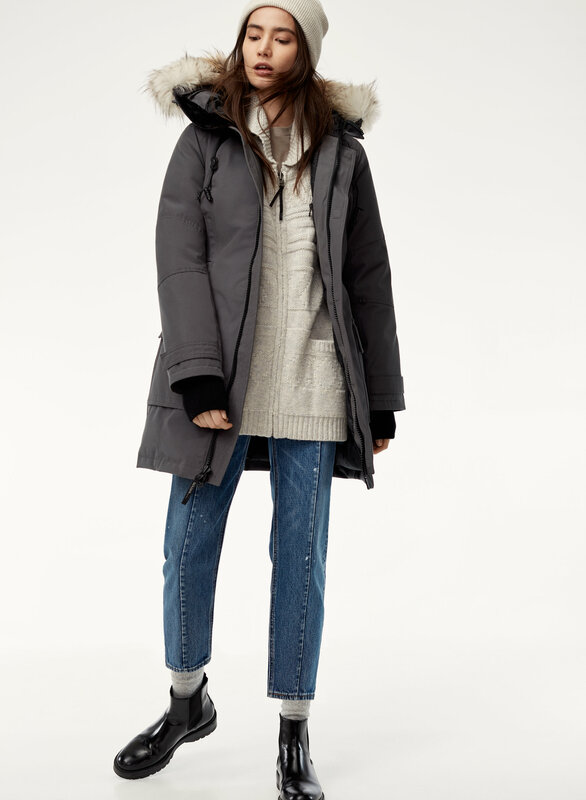 This parka is great! Love it! It is super warm and not heavy. Love the jacket and the shape. I have a xxs Babaton Cristobal coat and I got an xs in the Bancroft. It fits well with a sweater under. Hits above the knee. Would be nice if slightly longer. 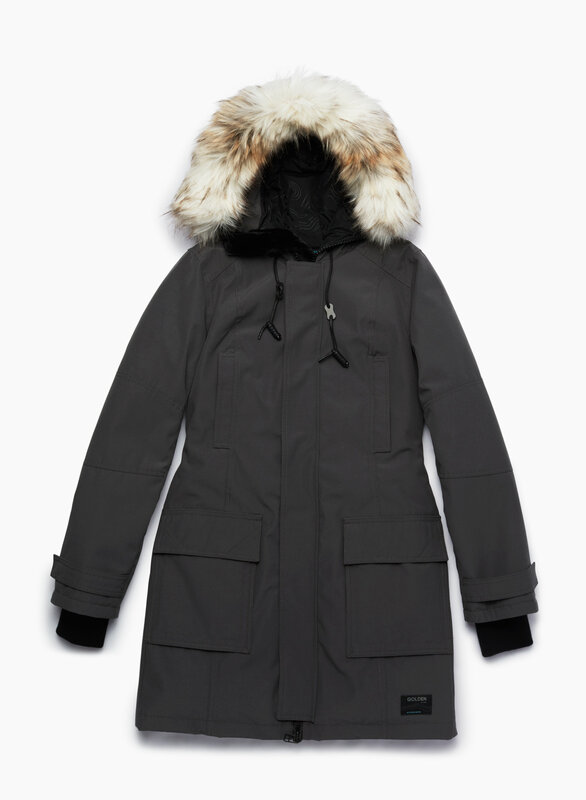 This coat is stylish, classic and very well made of high quality materials. The vegan fur trim is huge and luxe. It doesn’t fit me perfectly, I am 5 ft tall and petite - 90 pounds. XXS was a bit too tight around my chest (32B) and XS fit but was more loose and not as fitted as I hoped. The sleeves are also too long but part of the material can be folded underneath. 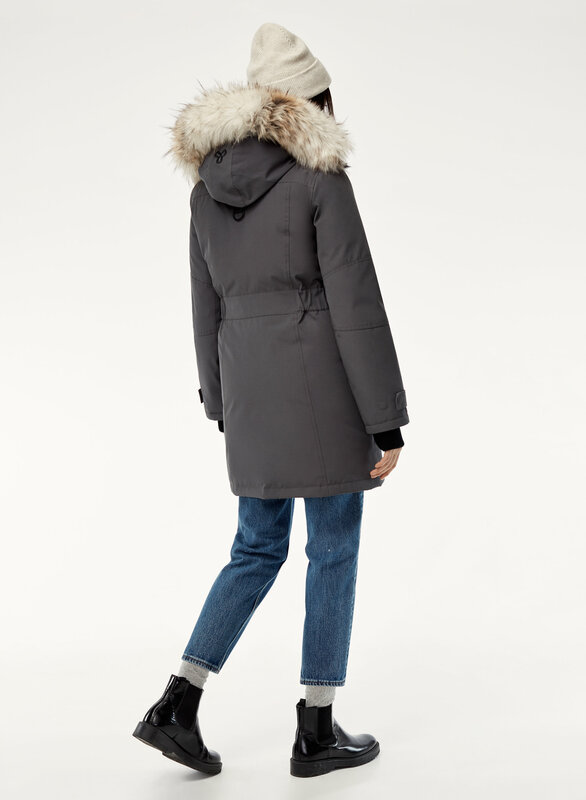 I really wanted my long search for the perfect warm winter coat to end but after trying this coat on outside in 40 degree F weather, I was still freezing cold. I am one of those people who gets cold easily though. I have heard of many other people who say this coat is really warm but it is not warm enough for me. The search continues.